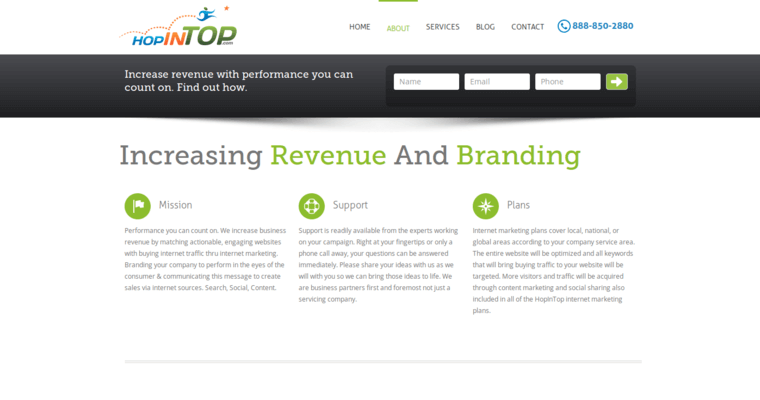 HopInTop is a company that works to increase revenue for their clients and brand products through the eyes of the consumer. Branding through the eyes of the consumer ultimately increases revenue potential for clients. 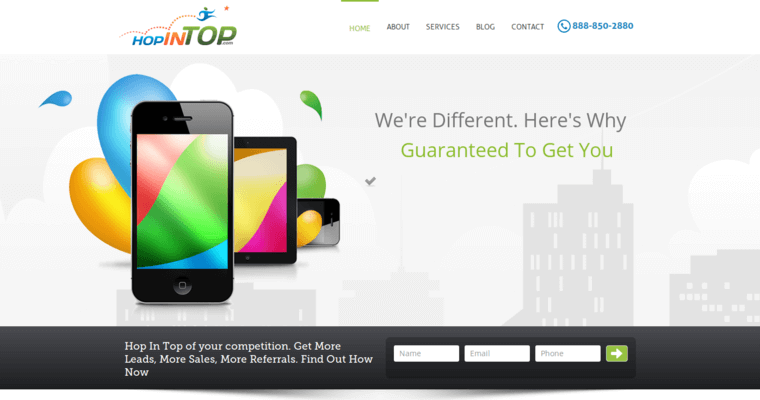 The company does this by determining which companies match up best with buyers. This company prides themselves on being a business partner with you rather than just being a service company that will accommodate to your needs. One factor that sets HopInTop apart from similar companies is the support you will receive from the experts that take on your campaign. These experts will guide you each step of the way and will be there to support you. The experts are readily available to answer any questions you may have via email or through a phone call. 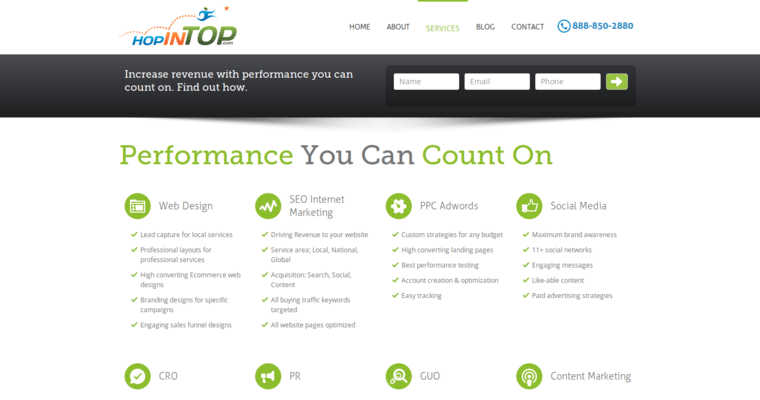 Despite whether you are a local or national company, HopInTop can help you achieve your goals and maximize your revenue through their expertise and experience.